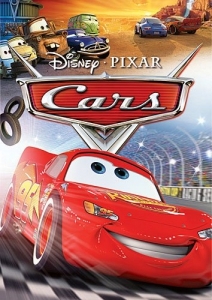 Cars - Entertainment for the whole family. This isn’t just a movie for the boys of the house. I found myself routing for Rookie Lightning McCool, the adorable red car in this new Disney movie. He goes through some tough times and true to Disney format learns valuable lessons. After watching it for the third time with my 19 month old grandson, I’m hooked. The tunes are catchy and the characters quickly grow on you. It sports music from the likes of Sheryl Crow, Rascal Flats and even James Taylor. easily recognize some famous voices. Owen Wilson plays the plucky Lightning McCool. It took me a bit to figure out that Doc was Paul Newman. is a must for families and I give it my own seal of approval. I would snap it up right now if I were you. What a great idea for Christmas gifts.